In 1997, Ramón Larramendi founded the expedition specialized travel agency, Tierras Polares. 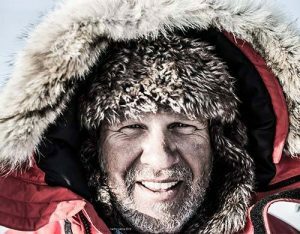 A pioneering endeavor in the Arctic with which he seeks to inform travelers from around the world about the fascinating beauty and importance of polar regions. The explorer is always looking for new routes and wonders, following the adventure spirit that characterizes him. The chosen territories were Greenland, Iceland, Norway and Lapland. Later on, new destinations such as Antarctica, Canada or Alaska, were incorporated. TIERRAS POLARES has its own logistics in Greenland, Iceland and Norway, allowing it to offer original travel at competitive prices, with a great capacity for adaptation to the changing Arctic and where security is the priority. The company also has a strong social and environmental commitment to the polar territories, being, since inception, the main sponsor for the Inuit WindSled and the Inuit Climate Patrol projects, both from the polar explorer. At present, it has become a reference agency for trips to the Arctic.